Per MLB.com’s Bill Ladson, the Washington Nationals have signed a trio of minor leaguers as Cutter Dysktra, Tim Alderson, and Stephen Shackleford inked deals for the 2016 season. Dykstra played 168 games with the Senators over the past two seasons hitting .266/.339/.382. The 26-year-old was reassigned to Harrisburg in 2015 after struggling during the first two months at Triple-A Syracuse. Dykstra fulfilled a utility role for the Senators playing the majority of his games at third base, left field, and as the team’s designated hitter. I would expect Dykstra to return to City Island in the same capacity next season. Alderson started five games for Harrisburg last year before hitting the disabled list for the rest of the season. In those five appearances, Alderson worked 26.2 innings and held opponents to a .260 batting average and 3.38 ERA. The veteran right-hander left his start in Trenton on May 15 with a forearm injury after failing to record an out in the third inning. It was the last pitch Alderson would throw in 2015. 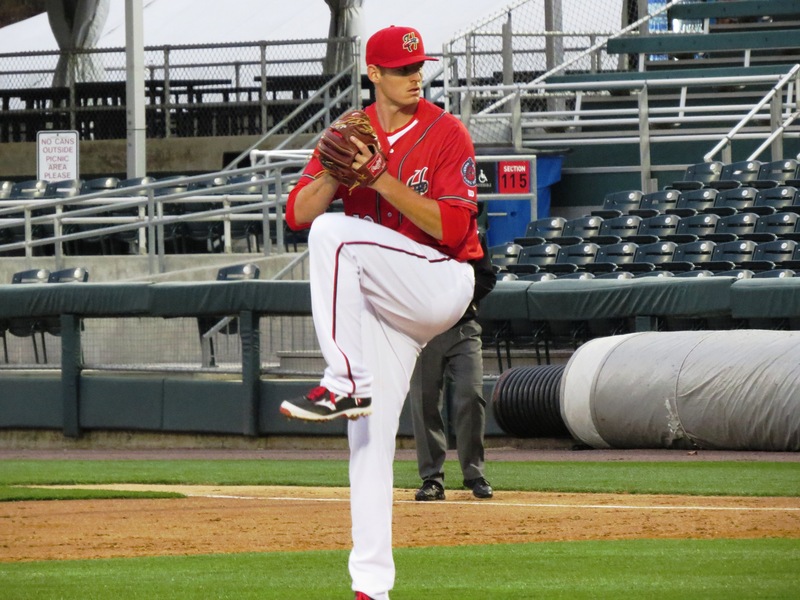 Shackleford joins the Nationals’ organization after six seasons with San Francisco, Seattle, and Philadelphia. The 26-year-old was voted last year’s Eastern League Reliever of the Year with Reading as he racked up a league-leading 30 saves despite a 4.45 ERA. The big right-hander struck out over a batter an inning, but also walked 24 batters over 54.2 innings during 53 games with the Fightins. I think it’s likely Shackleford will head west on the turnpike to Harrisburg and give the back end of the bullpen a badly needed veteran presence. This entry was posted in Uncategorized and tagged Cutter Dykstra, Harrisburg Senators, Stephen Shackleford, Tim Alderson, Washington Nationals. Bookmark the permalink.